Pleased to offer this wonderful 3 bed 3 bath family home situated amongst an enclave of newer homes in a family oriented neighbourhood. This 1613 finished sq/ft home offers a functional open concept floorplan & showcases many updates throughout. Pride of ownership & attention to detail are evident from the moment you enter! Downstairs boasts a spacious living room with a cozy fireplace, beautiful kitchen with stainless steel appliances, separate eating area, powder bathroom & a large laundry room. Upstairs you will find a master suite complete with a walk-in closet & 4 piece ensuite, 2 additional bedrooms & a 4 piece bathroom - perfect for the growing family! Boasting a charming front porch, covered rear deck & amazing Southern Exposed fully fenced rear yard that is excellent for the kids & pets! Extra features include a single car garage & crawl space for extra storage. An exceptional offering conveniently located to all amenities, schools, bus routes & parks. Definitely a must see! Eli Mavrikos Collective is a boutique realtor group founded by Eli Mavrikos. Since opening its doors in early 2008, Mavrikos Collective has grown into an award winning Real Estate expert within Victoria’s highly competitive market. Specializing in Residential and Commercial Real Estate Services in Victoria, Oak Bay and Vancouver Island’s markets. 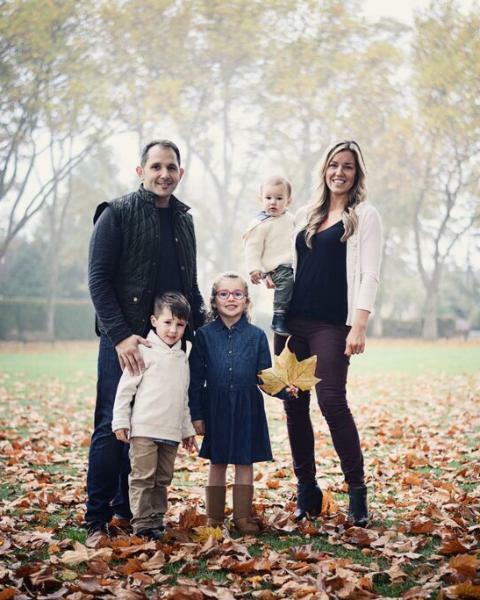 Eli was born and raised in Victoria and currently lives in Oak Bay with his wife, Adia, three young children, and their dog, Mattaeo. Eli received his Bachelor of Arts degree through the University of British Columbia where he played varsity football for the “Blue and Gold”. In 2007, he obtained his real estate license, and a year later, established the Eli Mavrikos Collective. Eli’s ongoing involvement in community associations and sports teams on the island has helped him to establish a large network of associates and friends who, along with his large Greek family, have all contributed to his success in Victoria’s competitive real estate industry. Eli takes pride in building relationships with his clients and believes the key to a seamless, successful and positive transaction is based on mutual trust, respect and open communication. Through his professional but relaxed no-pressure approach to buying and selling real estate, Eli works with his clients, keeping them informed throughout the entire process. At Eli Mavrikos Collective, Eli and his team are committed to working effectively to achieve the best results for their clients.